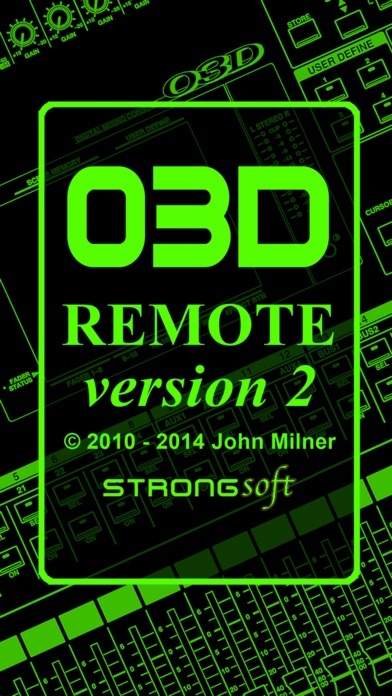 03D Remote is an iOS App for remote control of the Yamaha 03D series of mixing consoles via WiFi. To use the App, you must have UMMU Server installed on the host computer (A free download from the StrongSoft website). Or you can use UMMU Box, a standalone interface manufactured by StrongSoft, and available on eBay. UMMU Server is a free download from the StrongSoft website. M32 FMP Remote is an iOS App to allow Remote Control of Faders, Mutes and Pans (FMP) of the Midas M32 Series of Consoles via WiFi. iOS App to allow AutoEQ of Behringer X32 consoles, and Behringer DEQ2496 MIDI controlled DEQ. Also allows direct control of DEQs via WiFi from iPhone and iPad.